First, I would like to thank Smiley Cookie for giving me the opportunity to review their beautiful delicious heart shaped cookies! I was really looking forward to reviewing these cookies because I love sweets! I'm not very much into the flowers and box of chocolates. Cookies (especially the personally designed ones) are a great tasting, unique, way to your loved ones heart. The cookies were delivered in a very cute and cheerful smiley box. 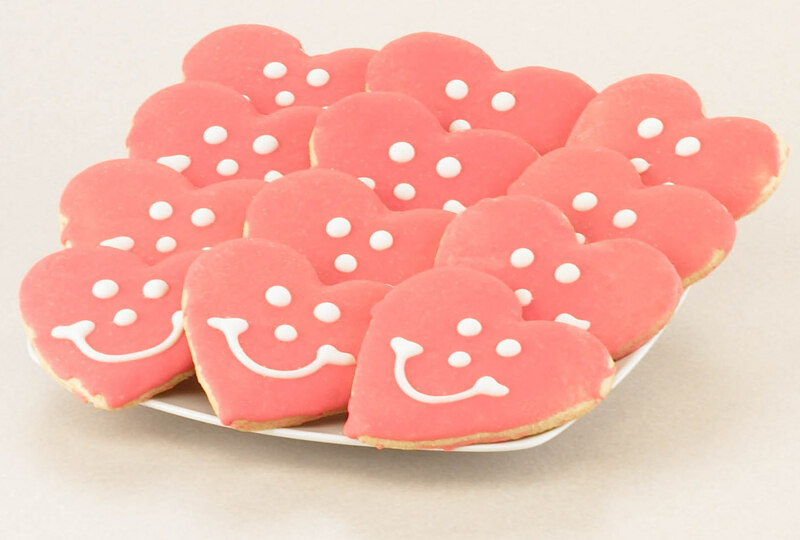 The heart shaped cookies were mouth watering sugar cookies that simply melt in your mouth, and they are hand-iced with a pretty pink frosting base and a white face that says, “I love you” with a smile. They tasted great, they looked beautiful, and they are just what you need this Valentine’s Day. Send them to your sweetheart, bring them to the office/school, or simply enjoy them with your family. 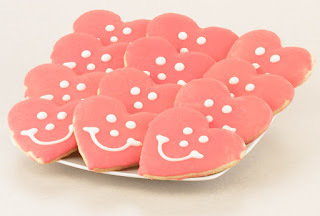 Simley cookies are a great gift not only for Valentine’s Day, but all year round. These cookies look so beautiful and tasty! Following from MBC.